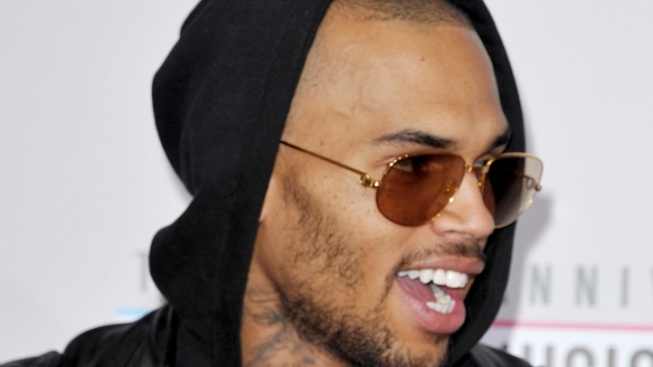 Chris Brown returned to Twitter Sunday, following his vulgar online spat with comedian Jenny Johnson. But, while his page appears to be back up and running, the "Don't Wake Me Up" singer has yet to tweet anything (all of his previous tweets have been deleted). Brown has been active on his NSFW Instagram handle, however, posting a photo of himself and a scantily clad Rihanna Sunday morning with the caption, "What would music today sound like if these kids didn't exist?" Rihanna has also been posting photos of Brown on her Instagram page, including a shot of him lying shirtless on a bed and an, um, intimate pic of herself giving him a bear hug.